We’re one ministry with two sites in Macomb, Illinois. 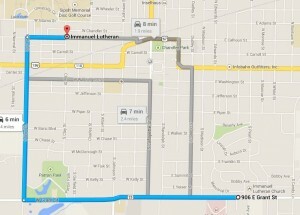 Our Church building is at 906 East Grant Street. This is where you’ll find our 8:30am Sunday Service, Sunday School, and many special events. 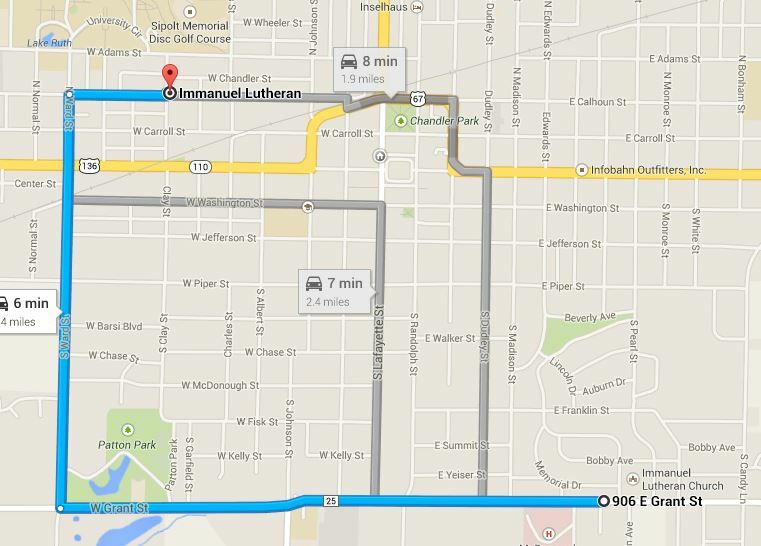 Our Student Center building is at 303 N Clay Street, near the WIU campus. In the school year this is where you’ll find our 11:00am Sunday Service. Ministry offices are located at the Student Center, too — so you’ll find our secretary, pastor, and the Birthright office here. You’re welcome to park in the lot on the East side.